Never done this on M113, last time (6 years/ 35,000 miles ago) I paid for it but it looks like I may have to do it again. I'm thinking of doing this job myself this time. Any thoughts and things I should be careful with while doing this? Also, injector seals… what to use to lubricate them? I just replaced all injectors and couple of bottom seals may have some air leaks. I used (bicycle chain) Dry teflon lube, which is very similar to vaseline but not petroleum based. I'm not sure if it makes any difference…. lots of opinions out there… silicon, vaseline, teflon grease, wheel bearing grease etc. I want to do this right because this engine, it seems, doesn't tolerate even slightest vacuum leaks. Just curious: why do you need to remove the intake manifold ... vacuum leaks maybe? I lubed my injector O-rings with a bit of synthetic engine oil ... not sure if that's what you're supposed to use but it works just fine. Hi Peter, I'm detecting small vacuum leaks but, with the spray test not easy to tell for sure if it's injectors or manifold gasket or possibly both. Maybe I need to build one of those cheap smoke machines before I remove intake manifold. I've never heard of an "intake manifold job", Andrew. Seems unnecessary to me. The engine management computer compensates for vacuum leaks. If yours fails to, then I would address that problem. wlb50 and Smackrattle like this. It does but, when idle speed adaptations reach +1 ms CEL comes on with P0170 and P0173, which is what happens with my car. ^ I've not heard this as a routine failure on M113. How many miles on your engine? The most usual nuisance is leaking valve guide seals and rear main seal. I'm not saying this is routine failure but, I've already had manifold gaskets replaced by the shop… who knows if they used genuine or after market, did they set them properly? I already had to re torque them (slightly above 20 Nm) because they were causing idle adaptations near the +1 ms limit and CEL on and off. It helped for a while but, I'm back there again with CEL. ^ Thanks for the headsup. Mine's got about 102k - and it's been remarkably reliable, and a pleasure. As I mentioned, a bit of oil bypassing the valve stem seals, but it doesn't notice on start-up or when driving. Just asks for a litre after about 1200/1500 miles, earlier if I've been red-lining it a lot. I'm actually quite happy with a bit of consumption - stretches out my oil change intervals a bit! I'm not a Mercedes tech who sees this issue on a weekly basis, so what I have to offer here is purely speculation. Those codes indicate the injection has exceeded it's ability to add or subtract up to 24% (25?) fuel. It's intuitive to me that if vacuum is leaking it has to be fairly (improbably?) massive. 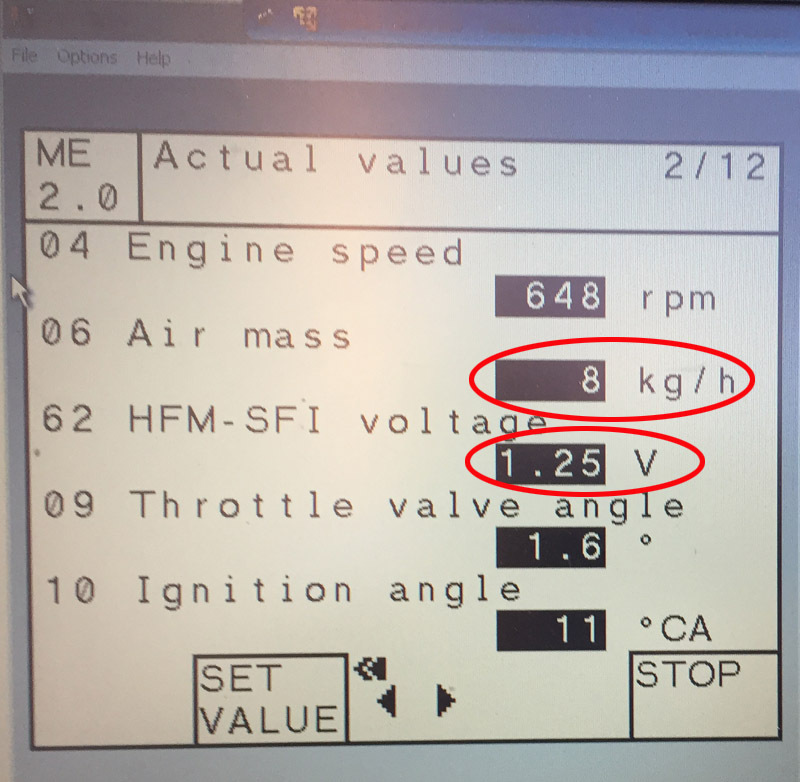 Another possibility, I believe, is a faulty air mass sensor under-reporting the amount of air entering the engine. I would attach a vacuum gauge to the intake manifold. If there are major leaks, then this will be readily apparent. Last edited by bobterry99; 02-28-2019 at 05:09 PM. Thanks for trying to help, those mercedes techs… I'm not too sure who they're trying to help. Here's what I've done so far, checked fuel pressure (58-60 psi), changed fuel filter just to be sure (it's been there 6 years/30,000 miles). Connected SDS to check live data: MAP = 313-324 mbar, connected vacuum gauge to make sure MAP sensor is accurate, vacuum 20 in/ 50 cm. Normal IMO. 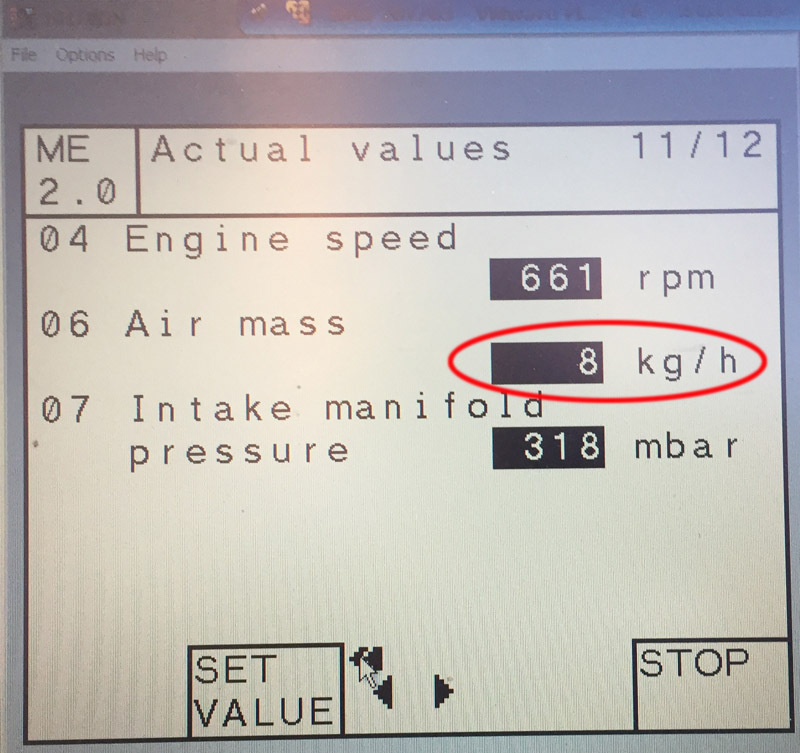 Air mass fluctuates 8-12 kg/h I think it should be at 16 kg/h at idle. 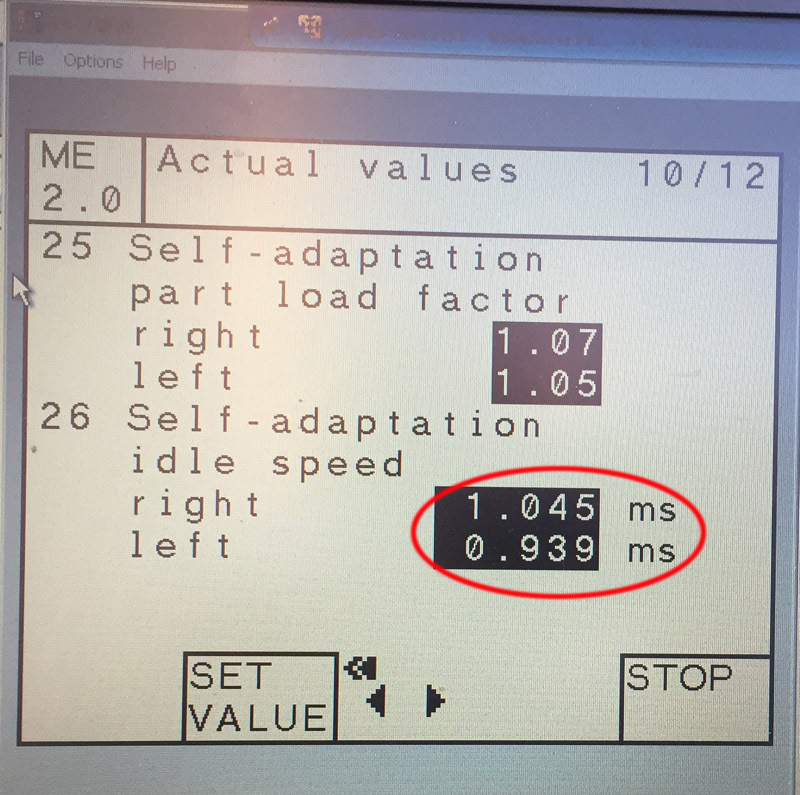 Idle speed adaptation at max (+1 ms) or above. That to me looked like bad MAF sensor so I replaced it. Not much have changed so I took it to the shop. They charged me $220 to reset adaptations and said nothing wrong with my MAF. I drove away and CEL came on the same day. Went back, they loaned me another MAF for couple of days… nothing changed. They want the car for couple of days… something else is going on. I took my MAF and see you later… I'm not paying another $200-300 just to find out. Now, I'm detecting some vacuum leaks with the spray, maybe injectors maybe manifold gasket or possibly both, hard to tell this way… nothing massive. Could minor vacuum leak possibly drive Air mass reading down?